Integrated Flight Resources (IFR) was started in 1995. 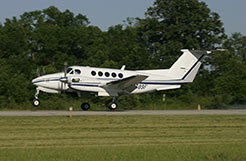 We started with one King Air 90 owned by a local bank. Our goal was to provide exceptional service at a reasonable cost. Tight cost controls and incomparable personal service helped us build the business as well as our reputation. 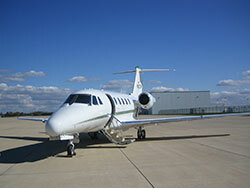 In 2005 we completed our own 28,000 square foot facility at DuPage airport in West Chicago. The Director of Operations, Director of Maintenance and Chief Pilot have been with the company since its 1995 inception. These individuals have a combined 100 years of experience in managing corporate aircraft. Our stable and experienced management staff has established procedures, which have helped produce a great record of dispatch reliability and safety. IFR has never had an accident or incident. Over the last 20 years, we have grown our operation and gained the backing of some very loyal aircraft owners. We have a history of satisfied clients; some have been with us since the beginning of our company. IFR now operates ten corporate aircraft, ranging from a Citation CJ1 to a Challenger 604 expanding our international operations. Most of our aircraft are home based at DuPage with the exception of our newest aiplane, the Hawker 900XP based in Denver, CO.
Light and routine maintenance are performed in-house by our well qualified maintenance personnel. Major inspections or repairs are contracted out to major repair facilities such as Cessna or Duncan Aviation. We use CAE Simuflite for pilot training and have in-house check airmen qualified for the Citation 560, Lear 45, and Hawker 800XP/900XP.